November 6, 2015, Taipei, Taiwan – Innodisk, the service driven flash and embedded peripheral module provider, announces new M.2 form factor Dual and Single Gigabit Ethernet Modules using a USB 3.0 interface. These two embedded peripherals are the World’s first M.2 form factor LAN Cards. The EGUL-G101 is an industrial grade Gigabit Ethernet module for network expansion and the EGUL-G201 is a dual Gigabit Ethernet module enabling networking redundancy, and port trunking/link aggregation for up to 2Gb/s speeds. 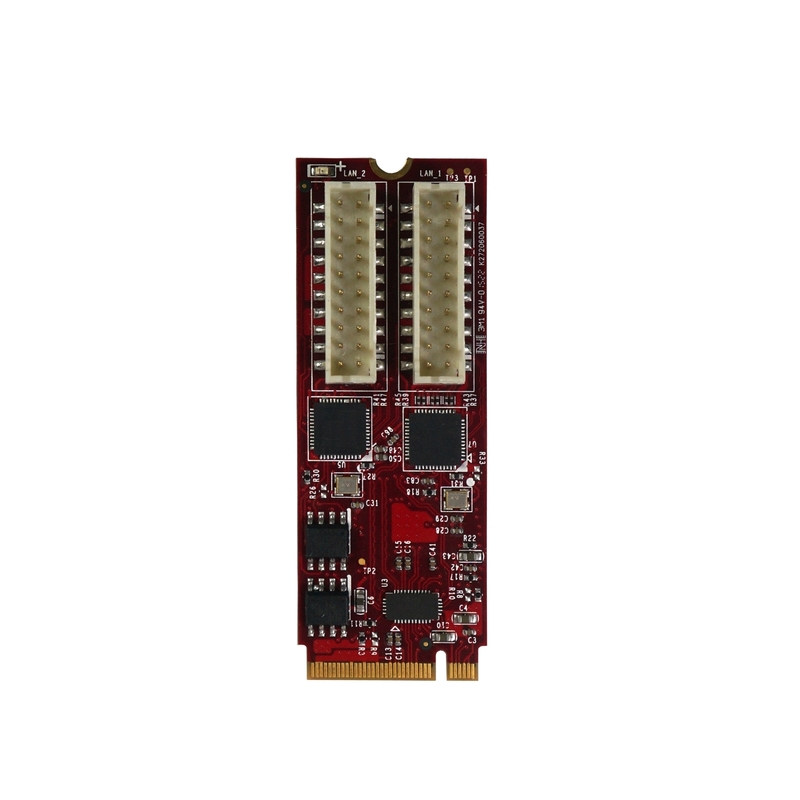 The compact 22x60mm M.2 form factor cards utilize a fast and convenient USB 3.0 interface, eliminating the need for drivers. Robust design including strong ESD, surge and HiPot protection, as well as extra thick gold connectors, allow these modules to be used in a variety of embedded systems ranging from consumer to industrial applications. With a max speed of 5Gb/s, USB 3.0 allows maximum ethernet speeds to be reached with absolutely no network bottlenecks. 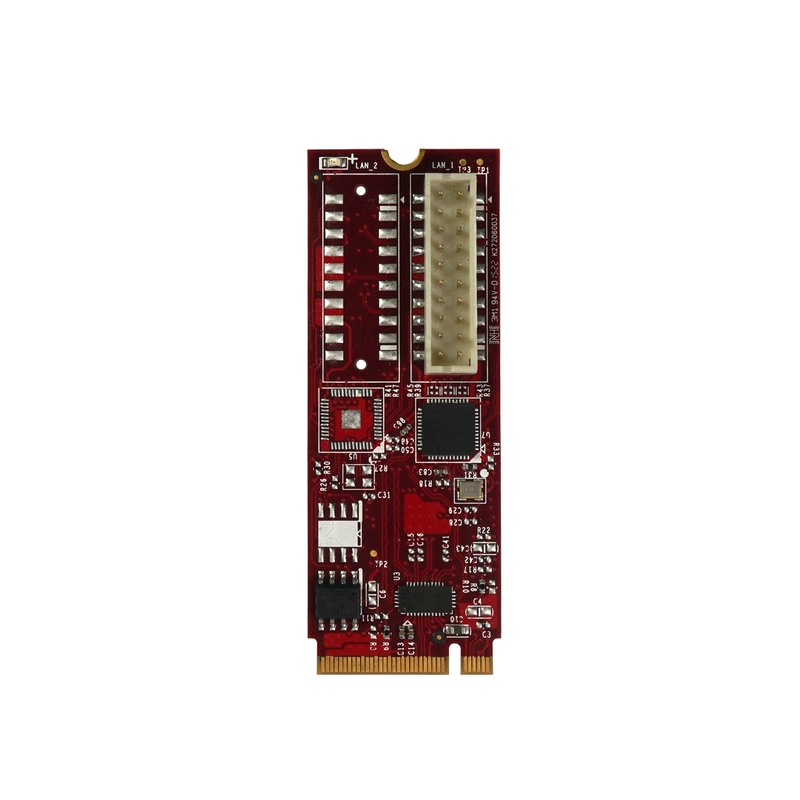 Unlike PCI-express based network cards, the EGUL-G101 and EGUL-G201 can be used on both Windows and Linux platforms without the need for extra drivers, With the universality of USB 3.0, they provide flexible network expansion for all kinds of embedded systems. The EGUL-G201 offers Dual Gigabit LAN allowing link aggregation for redundancy or speed. By combining two ethernet links, systems can use port trunking technology to effectively double network speeds up to 2Gb/s. The dual ethernet links can also be configured for redundancy, making it easy to add high speed, high availability networking to a M.2 capable embedded system. Beyond commercial grade design, the EGUL-G101 and EGUL-G201 are built with strong electrical isolation and 30 micro-inch gold interface connectors for a robust connection. The ethernet modules feature 15kV ESD, 2kV HiPot and 2kV surge protection preventing electrical damage to the system and connected components from potential differences or dirty electrical conditions while maintaining signal integrity. The EGUL-G101 Gigabit Ethernet Module and EGUL-G201 Dual Gigabit Ethernet Module are available now. For sales inquiries, contact Innodisk directly or one of Innodisk’s regional distributors.